Last weekend I was doing some general housework and I cleaned and polished this small table. The furniture polish I use is a quantity of the cheapest vegetable oil I can find with a few drops of essential oil to create a pleasant odour. I use either lemon or lavender oil. I put a small amount of this mixture on a soft cloth (old t-shirts are good) and apply to the timber then rub it in and buff. I washed and ironed the doilies and then replaced the ornaments. I love this table which I have had for about 20 years and all of the ornaments are special to me. I keep most things fairly simple but do not subscribe to the minimalist style of an almost bare room. I prefer the mantra of, “Keep only those things which you use or love”. These are things that I love. GMan has been steadily working on assembling the chairs and now they are all done. Before he put the final one together, I grabbed the seat and traced around the seat. This is now going to be the pattern for making some seat cushions for the chairs. We are planning on painting the existing table. The most likely colour is red so I am thinking of perhaps using striped fabric which includes some red for the cushions. I hope to be able to show you the completed dining setting before too long. No blog posts for 5 days! What have I been doing? I have been doing the routine things that keep our life ticking over day by day and week by week. This has been interspersed by a couple of interesting diversions. A couple of weeks ago we managed to go to IKEA on a busy day trip to Brisbane. Our mission was to buy some new chairs for our outdoor setting. We bought 8 chairs as the table we have is quite large. GMan has made a start on assembling them and did 2 the other night. This is what they look like. The old ones are the director-style chairs and they are impossible to keep clean as our cat believes that each one of them is his bed and they end up covered in grey cat hair! I plan to make removable cushions for the new chairs so that we can have padded seats with the benefit of being able to easily remove and store them when not in use. I have mentioned before that I menu plan our evening meals. 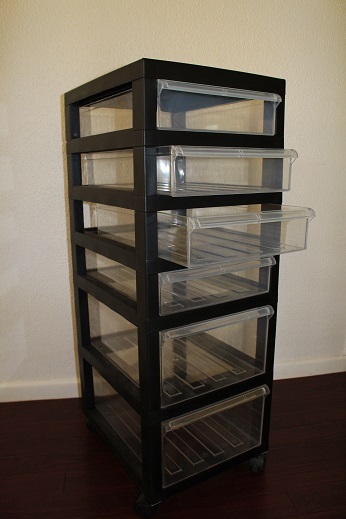 It is difficult to emphasise how much easier this makes shopping for and preparing meals. Salad will be lettuce, cucumber, cherry tomatoes and capsicum with the addition of cheese on Tuesday and Thursday. Sunday’s meal was actually lunch as we had guests. It put a lot of restaurant meals to shame. I had time this morning to prepare the mushrooms before I went to work so all I needed to do when I arrived home was to microwave them until cooked then top with a little extra grated cheese and finish them off under the griller. Any plan needs to be flexible and menu plans are no exception. I try to make choices based on our activities and needs but sometimes those change. I cook the baked potatoes in the slow cooker for 4 hours so I would need to be at home to turn it on at about 3pm. This was going to be OK as I planned to work from home on Friday, however, I need to go to Brisbane and may not be home by 3pm so I have decided to make that meal for Sunday and we will have an antipasto platter and salad on Friday as we need to eat fairly quickly before heading out on Friday evening. Gosh, it is 4 days later and I am yet to tell you about the rest of the furniture re-arrangements. You see, I have been too busy actually doing things to write about it. I had already removed the storage boxes before I took this photo. 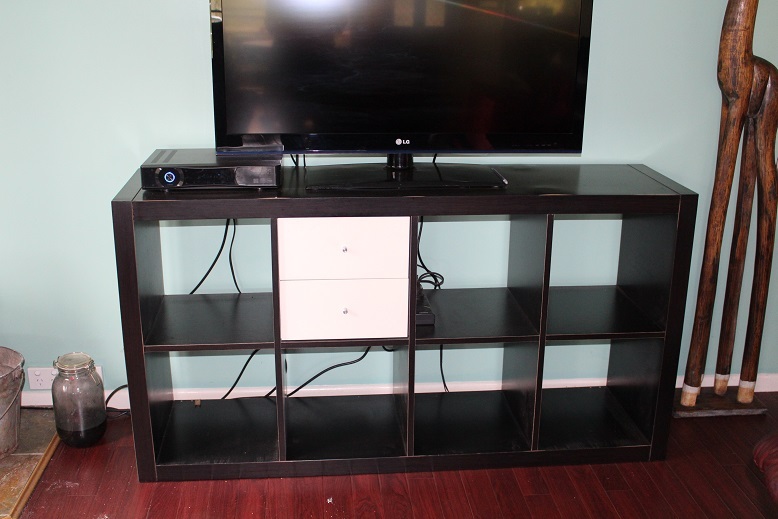 I had earmarked this storage unit for my sewing room once the TV cabinet was restored and in place (see previous post). Here it is in the new location in the corner of my sewing room. Not completely organised but a vast improvement on what things were like before. 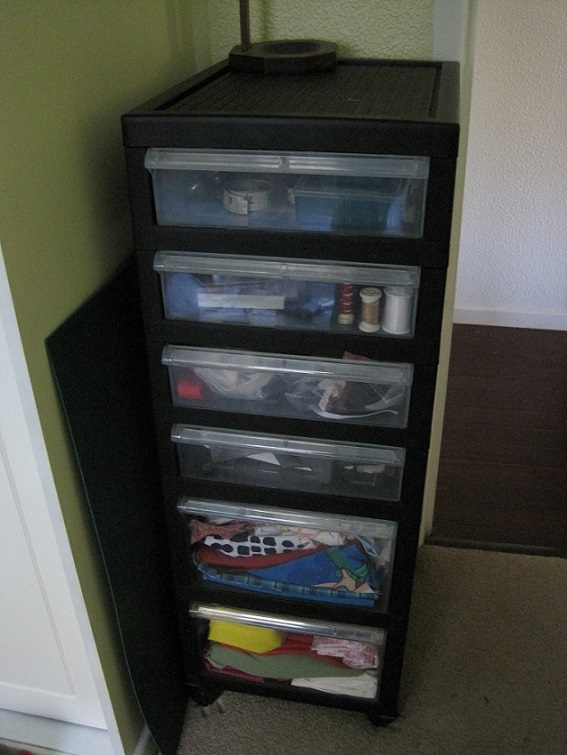 This meant that I could permanently re-home a couple of my other storage solutions from the sewing room. A set of plastic drawers that I originally had for paperwork and documents when I was in a different job. It was re-purposed for the sewing a few years ago. Now it has been emptied and has gone to a neighbour who was keen to have some more portable storage. 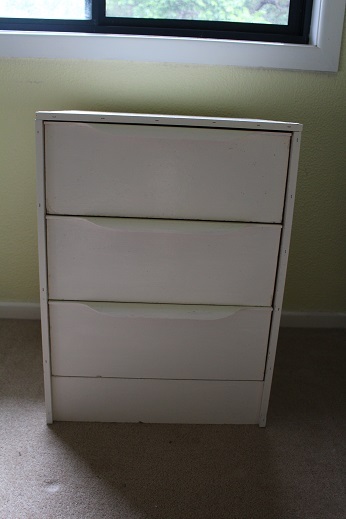 This small white chest of drawers was also used to store fabric and craft supplies. I bought it a few years ago from Gumtree and painted the bare chipboard with gloss white paint. Thanks to the wonders of Facebook it now has a new home not far from us. The sewing room more strealined but still needs more work. 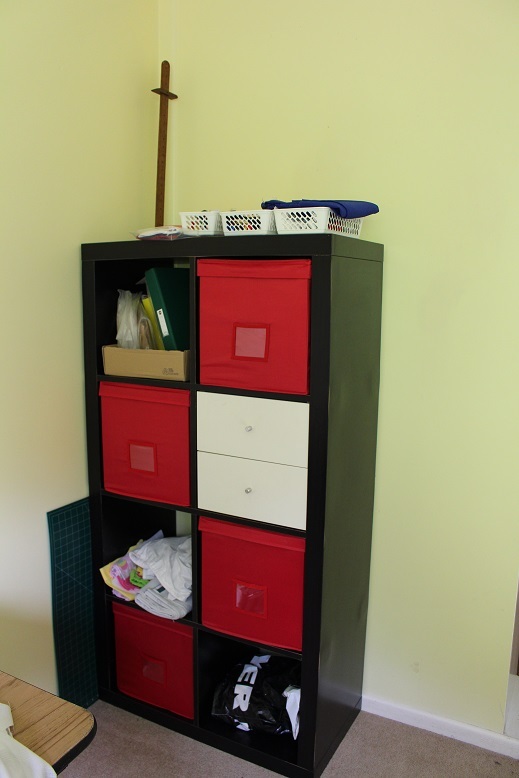 Most of the other rooms in the house have been decluttered, simplified and generally remain as they should be but the sewing room seems to be the one spot that regularly defeats me. I have works in progress, things I have yet to start and general chaos but one day it will be sorted and mean that it is easier to actually sew rather than tidying. I live in hope and anticipation!